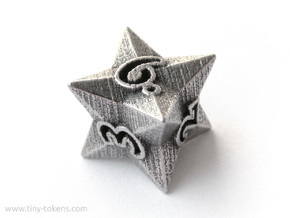 This is a special D8 die in my 'Twined' dice series, that can be used to keep track of the power and toughness of Tarmogoyf (and similar creatures). Please note: this version has the numbers arranged in a spindown order, which means that consecutive numbers are placed next to each other. This breaks the regular D8 pattern where the numbers on opposing sides add to 9. 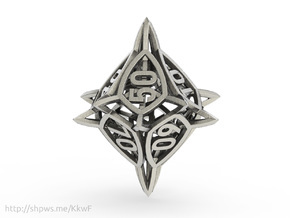 The version with the numbers in a regular D8 pattern can be found here. 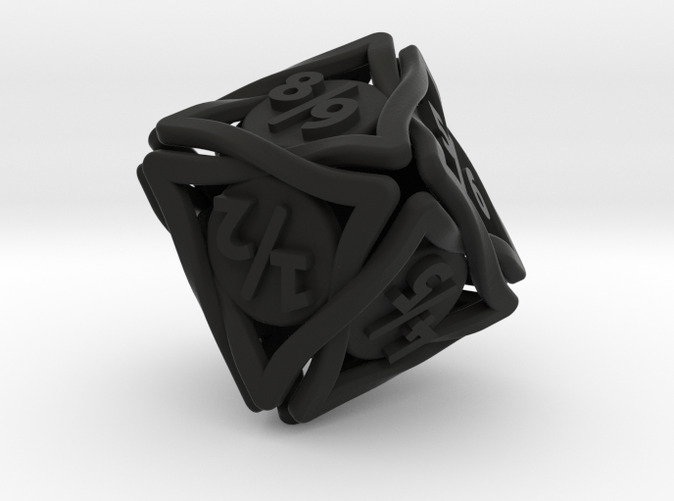 The die has a height of 18 mm (0.71'') (the distance between each set of two opposing faces), which is slightly larger than a regular gaming D8. This size works very well when printed in any of the steel materials or other metals, but is also suited for strong & flexible plastic. Please note however that it will be very light in plastic. 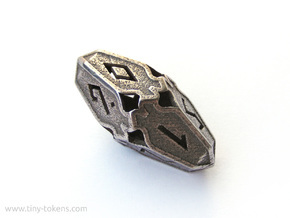 The power/toughness levels on the sides of this die are 1/2, 2/3, 3/4. 4/5, 5/6, 6/7, 7/8, 8/9. 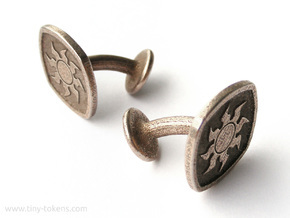 Great care has been taken to ensure that the die is fair and well balanced, and therefore throws should not be biased.